My local CVS didn’t have the Maalox bottles for $5.49, so I ended up purchasing more expensive bottles that allowed me to hit the $20 mark with only three. It was still a moneymaker, just not quite as much and I ended up using the small overage for some stuff I needed for myself. 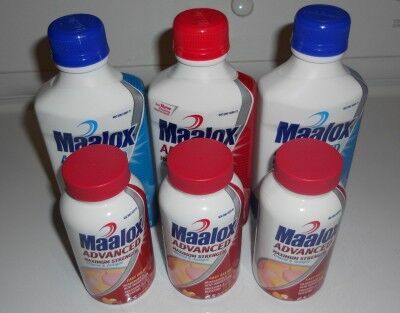 The total value of the 6 Maalox bottles was $44.94 with no cost out of pocket. Readers and I have now donated over $30,000 worth of food to local food banks. If you would like to participate, I’d love to have you join. Not only will you be able to help your local food bank, you will learn to save quite a bit of money on your own grocery shopping. This entry was posted in Coupons, Penny Experiment. Bookmark the permalink. hey i’m in town for a week if you need a partner in crime. lots of lemons and oranges here, feel free to drop by and stock up.